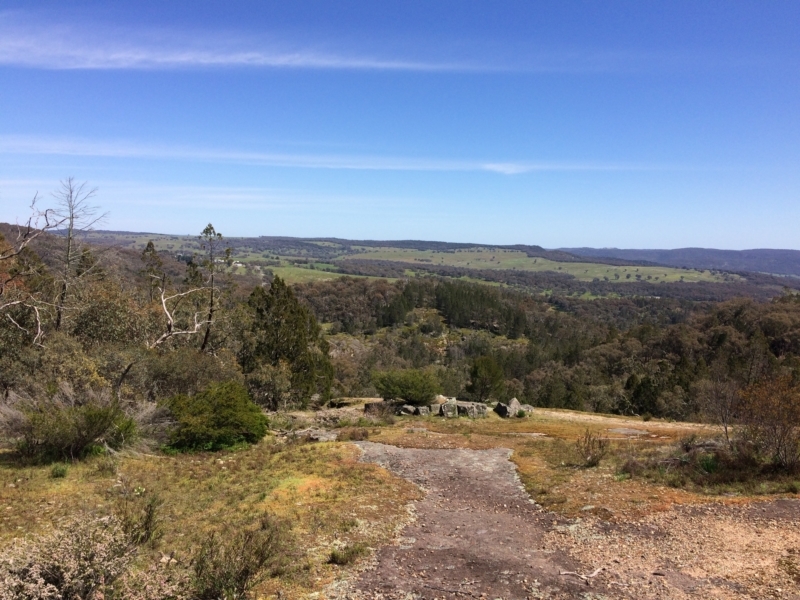 A circuit walk taking in of some of Beechworth's most picturesque built and natural sites starting at the Visitor Information Centre in town and heading out along Gorge Road. 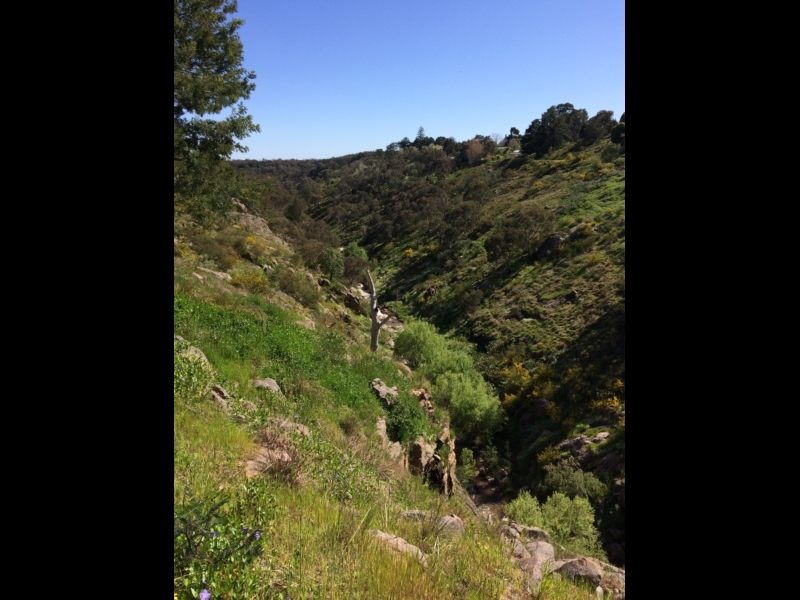 The Gorge Road was constructed in 1926 to provide access to the scenic countryside near Beechworth. 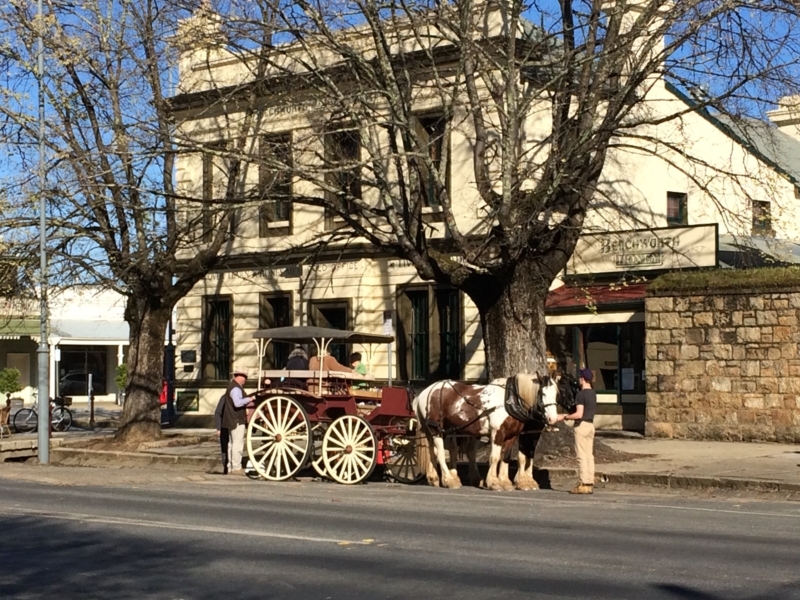 Start at the Information Centre in Ford Street and walk past many historic buildings including the Beechworth Historic and Cultural Precinct, Post Office and Tanswell's Commercial Hotel on the left. The Information Centre used to be the old Shire Offices. 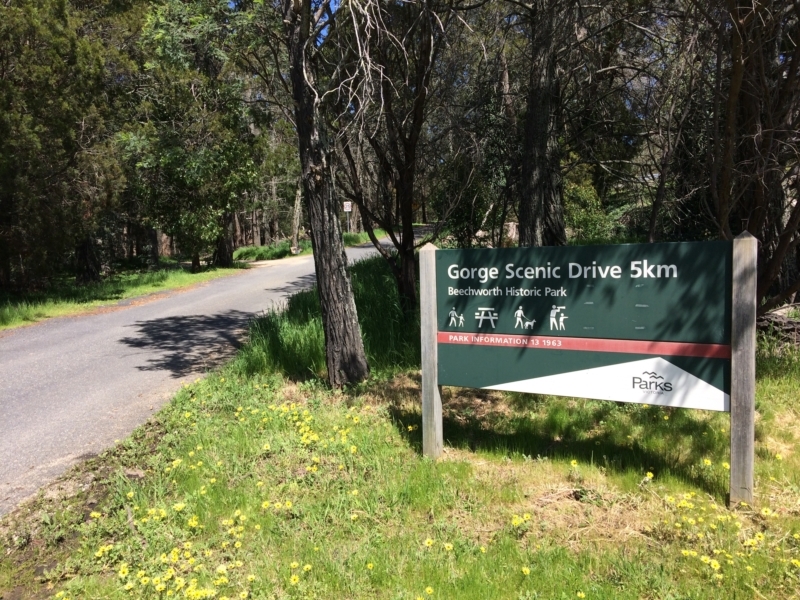 Continue down Ford Street, over the Spring Creek bridge and turn right into Gorge Road. Continue following the road along Spring Creek until it crosses the creek and comes out at Sydney Road. 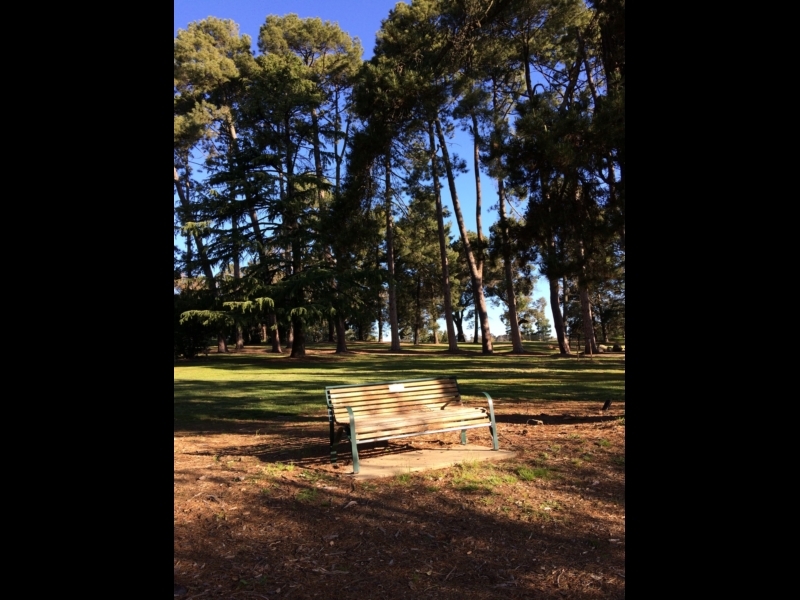 Turn right along Sydney Road past Queen Victoria Park and the Old Beechworth Gaol and back to the Visitors Centre in Ford St.
Click the 'Find out More' tab above for more Beechworth walking ideas from Parks Victoria. 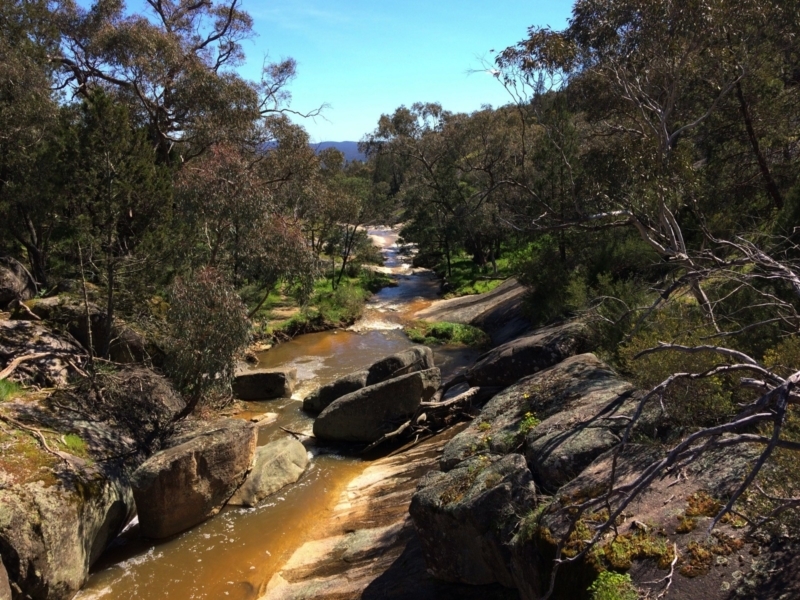 Fancy a dip in Beechworth? Here's another great local walk talking in popular swimming and boating area, Lake Sambell, not far from the town centre. Newtown Bridge was built by Scottish stone masons. 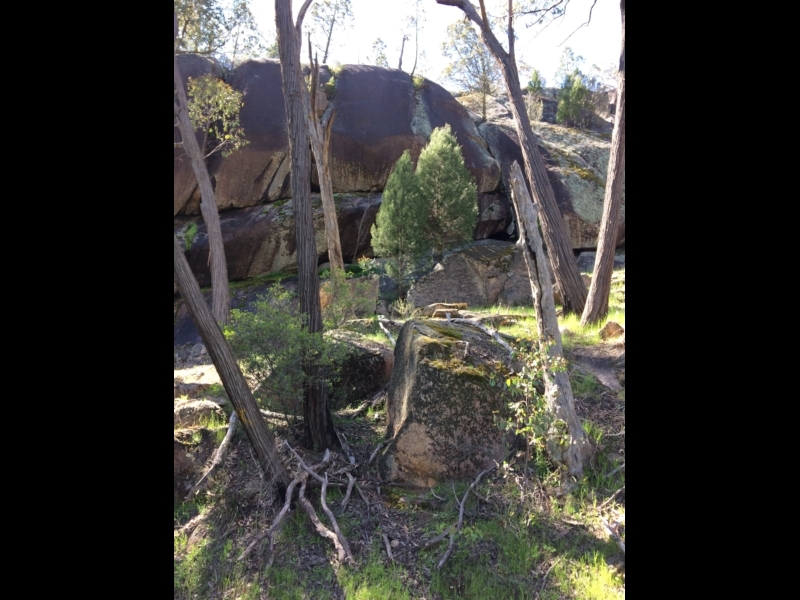 The channel under the bridge was cut through solid granite in the late 1860s for gold prospecting. 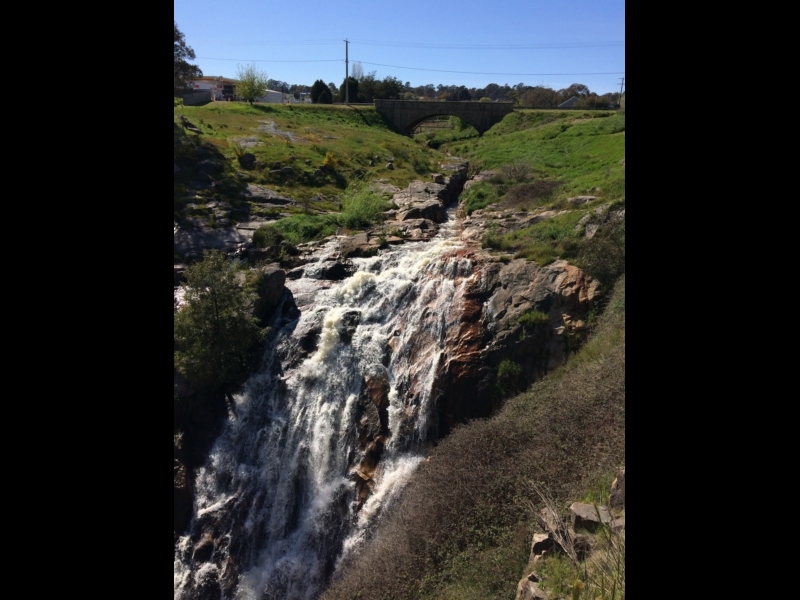 This tailrace was cut through solid granite in 1856 to drain the Spring Creek flats, to enable miners to scour the area for gold. A series of waterfalls from which Spring Creek drops down into the valley below. Spectacular after rain. A beautiful view from the top, overlooking the valley. 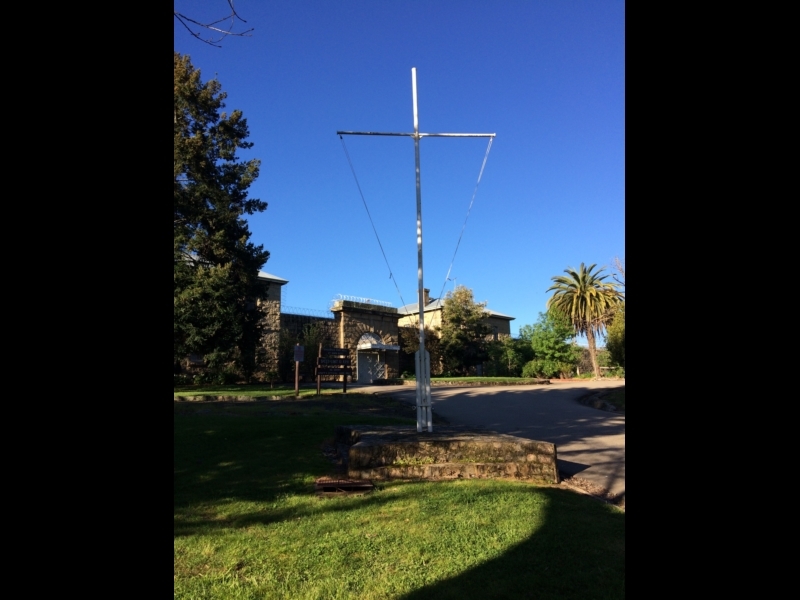 This sign is at the driving entrance of the Beechworth Historic Park. The road is one way only. This walking map starts at the exit. In 1891 a group of volunteers began to develop this area. 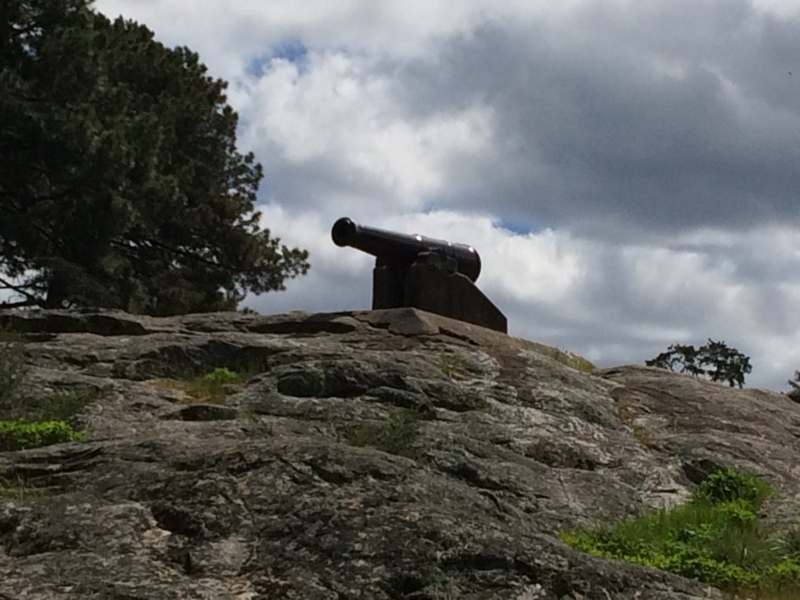 European trees were planted and two cannons mounted on the rock face known locally as the Giant's Grave. 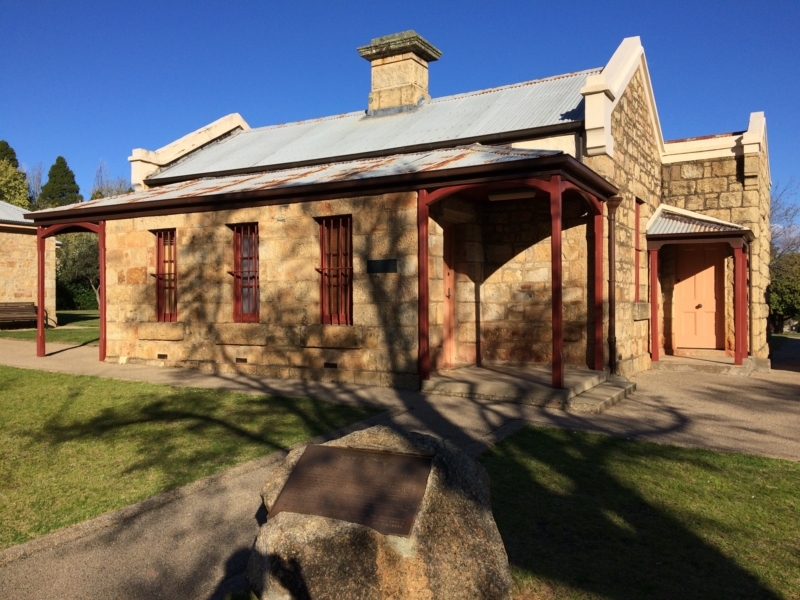 Beechworth Gaol is now privately owned and open for tours. 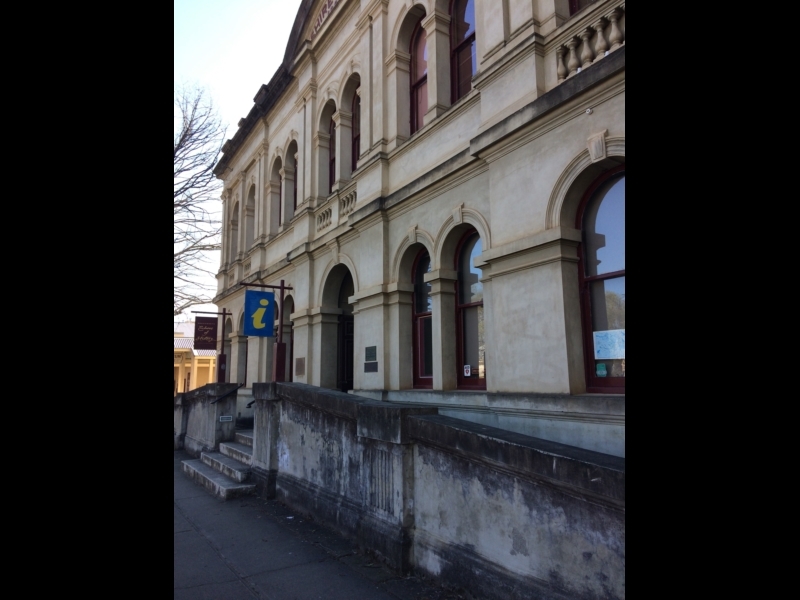 The information centre is formerly the old Shire Offices. The present front dates from 1889. This is the Courthouse from 1858. 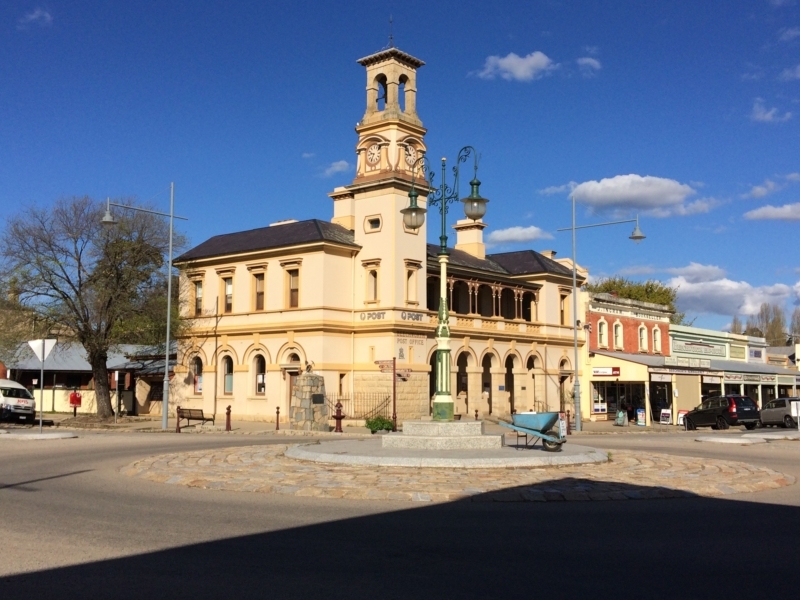 The Post Office was rebuilt in 1867 with the bell and clock tower. 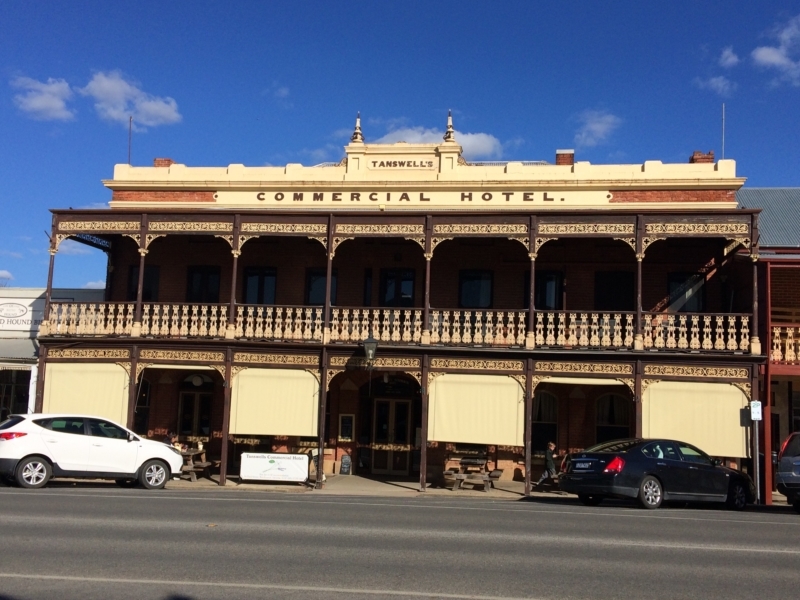 Thomas Tanswell replaced the original wooden structure in 1871 with the present building. One of the cannons in Queen Victoria Park on the Giant's Grave.